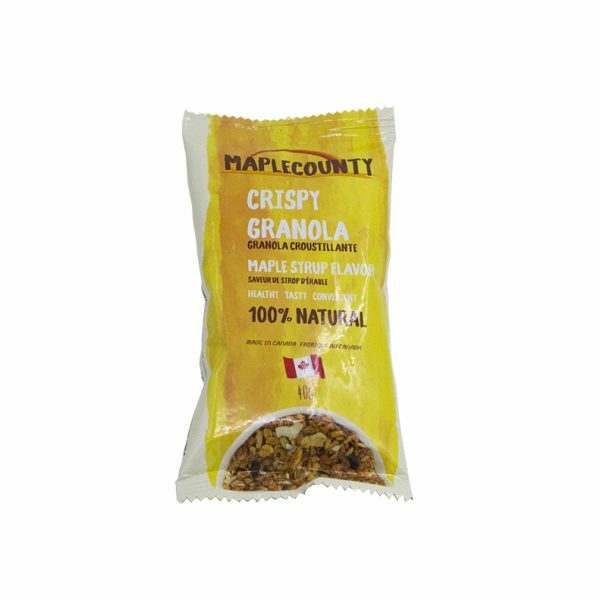 Maplecounty Crispy Granola (Small Pack) | Mapleland Inc.
Maplecounty Crispy Granola can be eaten either as breakfast or snacks. 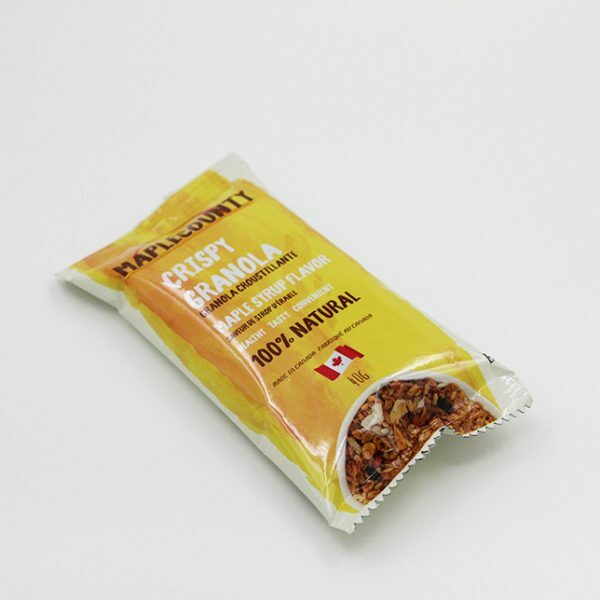 It is made from oat, crisp rice, nuts, maple syrup and add fruit such as raisins, coconut, pumpkin seeds and baked to golden brown. 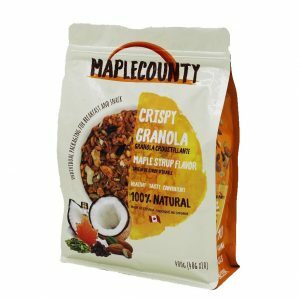 It is so crispy, delicious and high dietary fiber, nutritious. 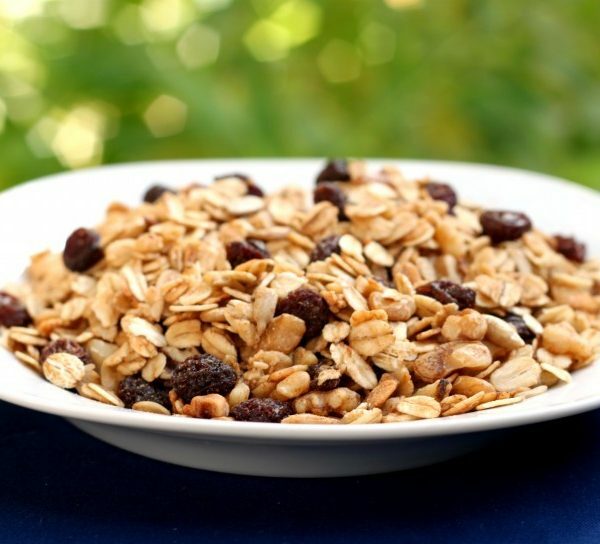 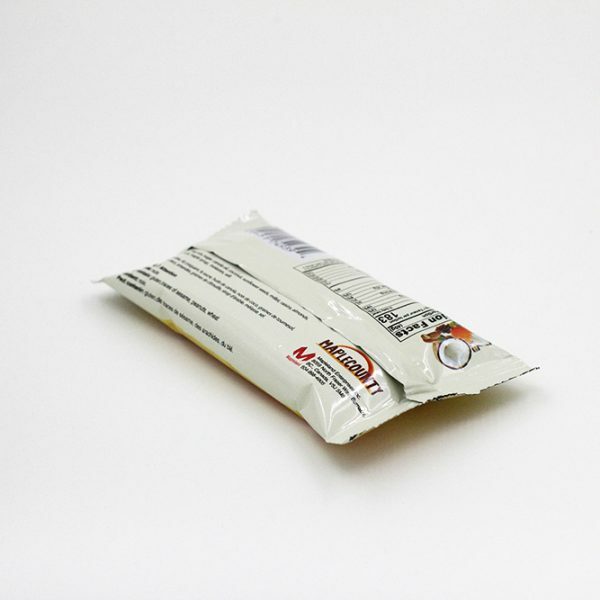 In particular, Granola contains a lot of oats, help reduce cholesterol, keep fit, as well as prevention of constipation. 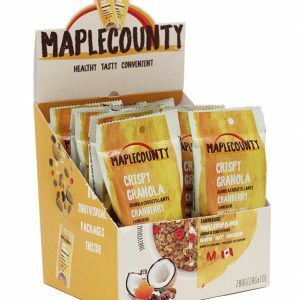 Granola can usually be eaten with yogurt, fresh fruit (such as bananas, strawberries or blueberries), milk or other forms of grain. 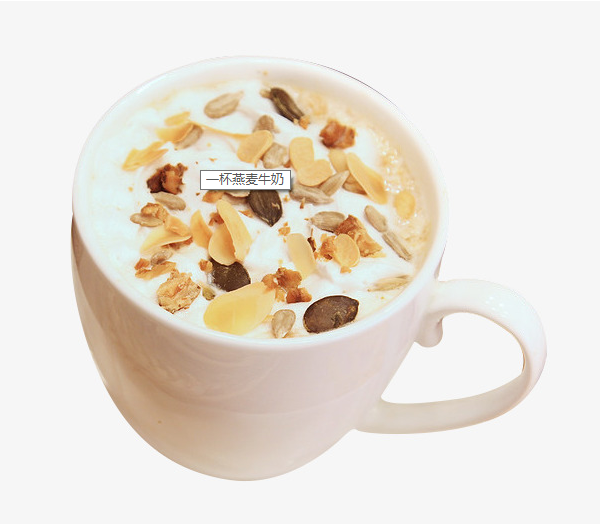 It also serves as the top of all kinds of pastries, desserts or ice creams. 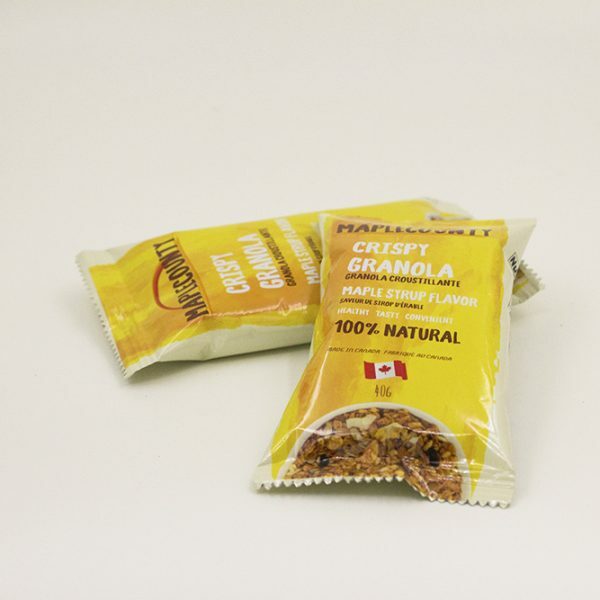 In addition to the use of breakfast and snack foods, Crispy Granola is the outdoor sportsman’s preferred food, because it is nutritious, light weight, high in calories and easy to store.